This movie oozes with style, and in our opinion, too much of it. In fact, so much attention has been paid to how the movie looks that it ultimately fails in engaging its audience in the story. In this work directed by a Brazilian, largely funded by Singapore and starring Hong Kong veterans (behold the future cinema of global collaborations), the versatile Francis Ng (Exiled, Operation Undercover) is a slick hit-man who receives assignments in the form of ang-pows (how innovative). His latest mission is to get rid of the people who kidnapped an Italian mob leader’s (an underused Harvey Keital) son. 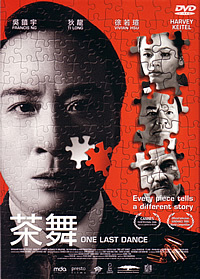 Throw in screen legend Ti Lung as a corrupted police chief, Vivian Hsu as a pretty vase, and a whole lot of other Singaporean TV personalities as inconsequential supporting roles, and you’d have a movie which competed in the “World Cinema – Dramatic” category at the 2006 Sundance Film Festival. Director Max Makowski must have gotten his inspirations from Quentin Tarantino’s Pulp Fiction (1994) and Christopher Nolan’s Memento (2000) for his latest self-written picture. The modish editing style (check out the computer-generated splatters of blood!) and the confusing storytelling structure (check out the repetitive scenes!) may only get some viewers impatient and frustrated. Credit goes to Ng for his effortless portrayal of a tormented soul, Ti for his effortless portrayal of a tainted figure of justice, and Hsu for her effortless portrayal of, well, a typical damsel in distress. Credit also goes to Singapore’s Media Development Authority’s (MDA) strong support and funding for this movie. The first logo that appears in the end credits is “Filmed in Uniquely Singapore”, which explains why we had such a fun time identifying the movie’s filming locations during its 105-minute runtime. It was almost as fun as spotting familiar faces like Yeo Yann Yann, Chen Guo Hua, Paerin Choa, Hossan Leong and Chen Tianwen. Besides this peripheral activity, the classy cinematography by Makowski, Lai Yiu-Fai (Infernal Affairs), Charlie Lam (Eternal Summer) and Nick Loh managed to distract us from an otherwise messy collaboration, which to be fair, had its potential to go places. This Code 3 DVD includes only one trailer for the movie which you have probably seen a million times elsewhere. The disc’s visual transfer is superb, with the movie’s moodily rich colours kept intact, while the oddly-dubbed Mandarin language track (where is the original Cantonese track when you want it?) is available Mandarin Dolby Digital 5.1 and 2.0.